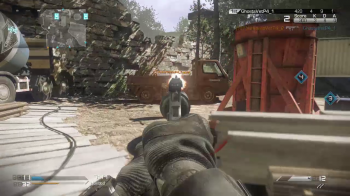 You'll now be able to play Call of Duty: Ghosts with just 4 GB of RAM. What is going on with PC system requirements these days? First, there were those super beefy Watch_Dogs specs (that were, believe it or not, the "revised" specs), followed by some equally demanding Call of Duty: Ghosts specs. But, has it all been smoke and mirrors? Acitivsion has just released a large patch for Ghosts, that drops the 6 GB RAM requirement down to 4 GB. Previously, if you tried to play the game with 2, 4, or, God forbid, 5 GB of RAM, the game would simply throw up an error and refuse to launch. The latest patch has moved that error down to the 4 GB threshold, and gives a "warning" to players with less than 6 GB. It seems like a rather arbitrary thing to do, I don't see what the harm in letting people at least try to run the game on laughably out-of-date hardware would bring. The patch also comes with its fair share of bug fixes, and optimization updates as well as a broadcaster mode, eSports rules, and a 4K display option. A much smaller update was also released for the PS3, Xbox 360 and PS4 versions of the game, which simply stomp out a couple of bugs. You can check out the full change log here.